These payslips are laser printed to the highest quality and will show all the necessary pay and deductions with the company name, your name and national insurance number. 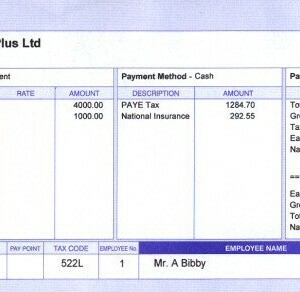 Each additional payslip is £5.00. Minimum quantity for this payslip is: 1. Maximum quantity for this payslip is: 52. If you do not select an Employee Number then a default number will be given. For any additional extras selected, you must provide details within the Additional Information field below. If you do not provide details of the required information, it can lead to delay in processing your order.